Deciding on a Golang company is always a difficult job when there are a number of companies around you. Here we provide you with a list of top Golang companies which has expertise in building high-quality projects. Golang is a concurrent programming language introduced by Google in 2009. It is an open source programming language that makes it easy to build simple, reliable, and efficient software. Go provides the ability to add behavior to your types via methods, allows you to implement polymorphic behaviour through interfaces and gives you a way to extend the state and behaviour of any existing type via type embedding. Go also provides a form of encapsulation that allows your types, including their fields and methods. Golang is powerful at Concurrency with inbuilt primitives and features to allow systems to be built to scale and effectively use the computing power available. 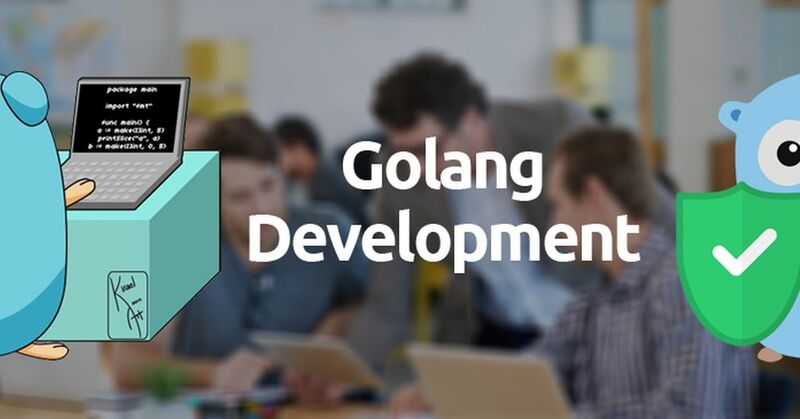 Here are some of the features behind the popularity of Golang programming language. Go offers some great concurrency primitives and makes it extremely easy to implement a concurrent system. It is able to take advantage of multi-core processor architectures and efficient memory is one of the reasons while Go code running some of the most heavily used applications that are able to scale. It provides a simple mechanism to write your unit tests in parallel with your code. The tooling also provides support to understand code coverage by your tests, benchmarking tests and writing example code that is used in generating your code documentation. Go is a statically typed language and the compiler works hard to ensure that the code is not just able to compile correctly but other type conversions and compatibility. This can avoid the problems in dynamically typed languages, where you discover the issues only when the code is executed. It is easily possible to compile a large Go program within a few seconds. The language syntax is so simple means that compilation is much quicker. The language was designed to be easily parseable without a symbol table. Support is provided directly in the tooling to get external packages and publish your own packages in a set of easy commands. Go comes with a powerful standard library, distributed as packages. This library caters to most components, libraries that developers have come to expect from 3rd party packages when it comes to other languages. We have listed here some of the best Golang companies that match your requirements. The selection is based on certain criteria which should be followed by a top development company.